In a programme alive with colour and intricacy, Frances Kelly and Alex Rider weave early Hispanic repertoires together with the French impressionist works that are the glory of the harp. 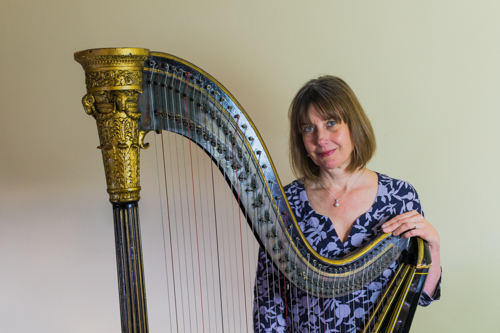 Local harpist Frances Kelly is now best known for her pioneering work with early harps, working regularly with the Sixteen throughout the UK and abroad. She is much in demand as a continuo player and has performed, broadcast and recorded with many other distinguished early music ensembles, among them the Orchestra of the Age of Enlightenment, with whom she performed Mozart's Concerto for Flute and Harp in 2016 at the Royal Festival Hall, under the baton of Sir Roger Norrington. The past few seasons she was invited to join the Handel and Haydn Society for performances in Boston and in Tanglewood, USA. Her work has taken her throughout Europe and to the USA, Mexico, China and Japan. Teaching is an important part of her life, and Frances holds posts at the Royal Academy of Music and at Trinity Laban Conservatoire, as well as more locally at the Bedales schools. 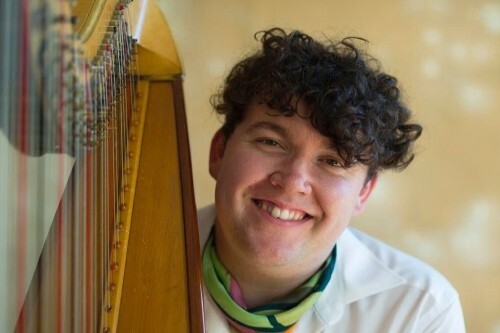 A harpist with a passion for the history and lore of the instrument, Alex Rider is much in demand for a wealth of projects both at home and abroad. Recent highlights of his work include orchestral work with the BBC Concert Orchestra, The London Concert Orchestra, The Ballet Rambert, the Aurora Orchestra, and the Orchestre Revolutionaire et Romantique (at the BBC Proms and at the Berlioz Festival, France). Alex has given solo recitals and concerto performances throughout the UK, travelled to the Banff centre to play for the Canadian premiere of Britten's opera, 'Owen Wingrave', and broadcast on BBC Radio 3. Alex studied the harp under Gabriella DallOlio and Frances Kelly, and subsequently with Imogen Barford at the Guildhall school of Music and Drama, where he was honoured with a Guildhall Artists fellowship.